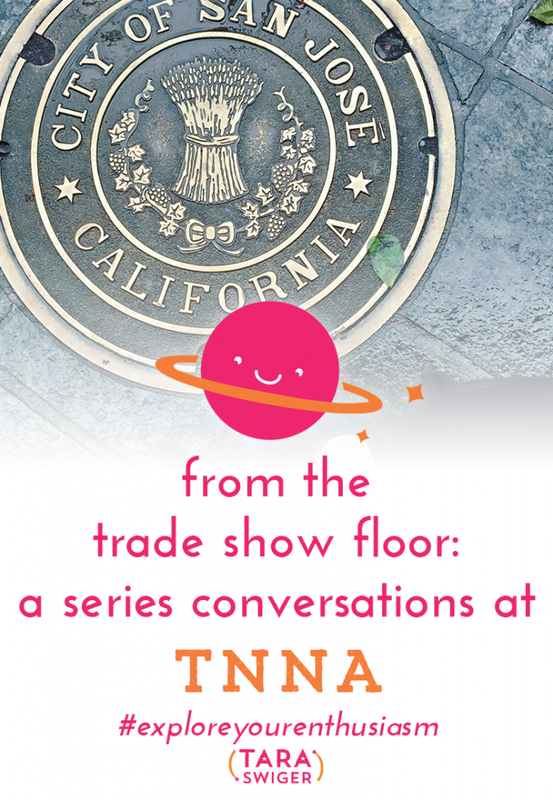 This week we're doing something different – I'm taking you with me as I walk around the trade show at TNNA. We'll meet yarn shop owners, vendors (yarn companies) and see some pretty stuff! Whether you're in the yarn industry or not, I thought you'd enjoy seeing what a trade show looks like, how the vendors set up and how they talk to everyone who walks into their booth. These conversations are edited, because it was recorded live and there are, like in life, a million interruptions. If you usually listen to the audio podcast, I encourage you to watch the video, so you can see the faces and the beautiful yarn!